The Slowly Boiled Frog: NOM claims to have "a big hole in our budget"
NOM is more than $10,000 short of meeting our fundraising needs for May, and that does not include the increased expenditures to carry out the enormously successful Fax for FADA and Say No to Target programs we recently launched. Fax Spam for FADA has all of 3,900 people and whatever they are doing relative to Target is by email. Really? What space is NOM occupying that isn't already filled by other anti-LGBT organizations like ADF, Liberty Counsel or Family Research Council? The “truth of marriage” has already been defined by the Supreme Court. If individuals really have rights at risk (they don't) then ADF has them covered. 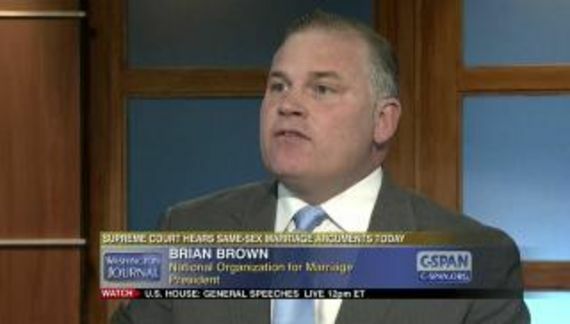 What is Brian Brown going to do? Another Twitter storm which accomplished nothing. They claim to have sent over 100,000 faxes yet FADA has not moved out of committee. The Target boycott has officially failed. 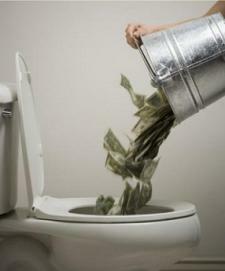 It is almost pathetic that they are groveling for an amount that used to be petty cash. Oh how the mighty have fallen.